Last edited by Berget-events on 27 Jul 2006, 18:08, edited 2 times in total. They're showing off the Tgb11 ("Terrängbil 11", Off-Road Vehicle 11) owned by Berget Events. The discussion just concerned the fact that it was initially, and incorrectly, labelled a Tgb13. Torak wrote: They're showing off the Tgb11 ("Terrängbil 11", Off-Road Vehicle 11) owned by Berget Events. The discussion just concerned the fact that it was initially, and incorrectly, labelled a Tgb13. Yes, geekit up dude. 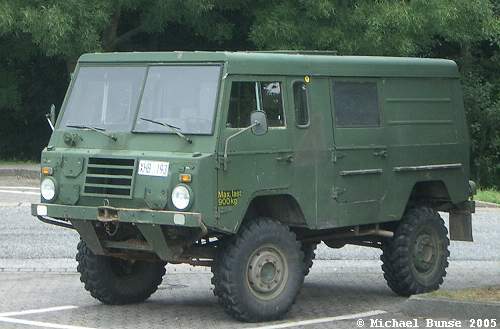 The Volvo C303 type 11 terrain vehicle (TGB11). Now that beats a Hummer any day of the week. They are very similar in appearance, though the Tgb is far more spacious inside. But the FC101 just has a certain je ne said quoi about it, hasn't it? Maybe someone know where to buy Volvo TGB20 or similar in Sweden ? Great vehicles to drive and very strong,and very reliable. Had the pleasure of driving them on B5 and B6 and they did their role in gameplay. lukashenka_LTU wrote: Maybe someone know where to buy Volvo TGB20 or similar in Sweden ? Also some might show up on blocket.se the auction site. Prices tend to start at around 25,000 SEK for these. and you will need a C class (truck drivers) license to legally operate one. But these tend to put higher prize! last questions, how many gas uses for 100 km ? I know a owner of 3-4 TGB 11.. I know that he will sell them for about 50K swedish and that they ar in nice working order. To answer someones question, they drink lots of fuel, budget at least 15L per 100km.